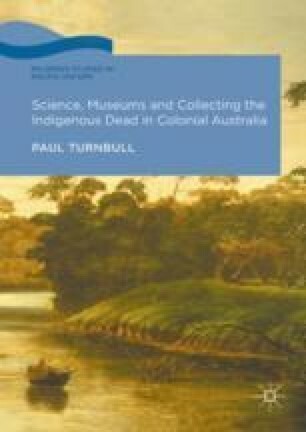 This chapter offers a critical assessment of claims that the last third of the nineteenth century saw Indigenous Australians in frontier regions murdered to obtain their remains for scientific ends. What survives by way of relevant evidence is reviewed, and the conclusion drawn that there is no credible evidence that Indigenous people were killed for their skulls or other body parts. However, this investigation of collecting in times of colonial violence discloses that museum curators willingly took into their collections the remains of Indigenous people who they knew were likely victims of frontier terror and violence across northern Australia during the last third of the nineteenth century.